I've noticed topics such as Poetry aren't often part of special ed curriculum packages, and often parents do not seek out poetry courses for their special needs or autistic children, electing to teach more life skills based content. For some families I know, their goal is to just ensure their child can read, and understand the words they have read. They're not interested in dissecting the inner meanings of artistic writing, but it is this style of writing that can teach so much in the way of socialization and communication that centers around the country are now utilizing poetry, prose, and drama as a means of social communication therapy. So when the opportunity came to review Poetry, Prose, & Drama: The Old English & Medieval Periods Set from Memoria Press I was very excited to try it out, and see how it could benefit not only Mr. B, but others with autism. Memoria Press has become one of our favorite vendors. Bringing quality classical education choices, Memoria Press never fails to impress me with their products. For this review, we were blessed to receive Poetry, Prose, & Drama: The Old English & Medieval Periods Set. This is book one of a three set series. This set includes poems from the Anglo-Saxon Invasion to the Tudor Accession, so the years 449 to 1485. 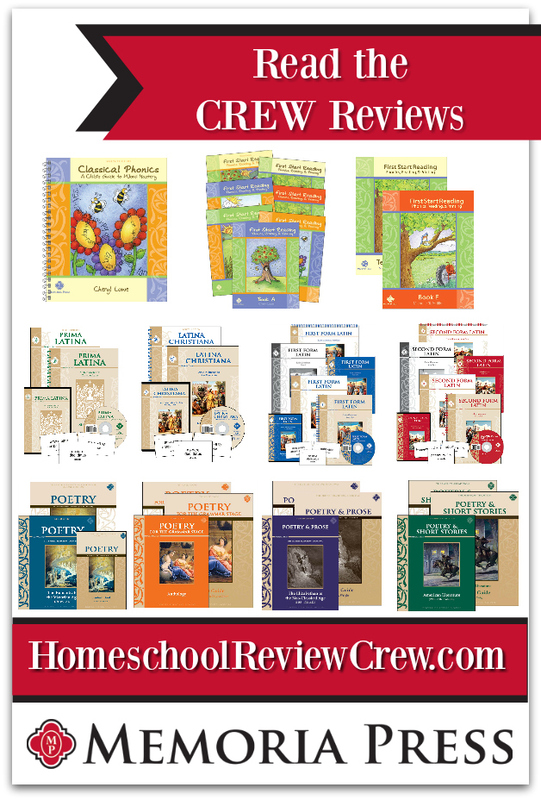 In this set you will receive the Poetry, Prose, & drama: The Old English & Medieval Periods text, the Student Guide, and the Teacher Guide. You can find a sample page for the Anthology here, and the Teacher Guide here. This set isn't what we are normally accustomed to using. I had imagined the student would read a passage, then answer comprehension style questions, but that is not the case. First, the books included are not the same size. The Teacher Guide is your standard "workbook size" book. The red, student test is a bit smaller. The Student book is wirebound, and the smallest of the three. It would easily fit in my purse. The idea isn't to do work in the student book, but to create and keep a notebook. Student books are intended for use by just one student. This book is 11.5" x 8.5" x 5" and has 156 pages. It was written by David M. Wright. I started our Poetry, Prose, & Drama journey with reading over the Teacher Guide. I find this guide to be an invaluable resource and necessary to implement the program as intended. The Teacher Guide includes the text from the student book, as well as discussion questions, answers to the questions posed in the student book, tests, and the test keys. I love that it teaches you how to teach the program. There's also an essay template in the back which I have found to be quite helpful. This book is 9.25" x 7.5" x 0.5" and has 133 pages. This is he first anthology in the British Tradition series, and features poetry from Anglo-Saxon Invasion to the Tudor Accession (449-1485). Included in this anthology are styles such as epic, riddle, allegory, ballads, and more. Content is arranged by type, not date. The Literature of the Common People: Popular Ballads and Arthurian Romance. This one includes Robin Hood Ballads and Chapters 1-7 from Le Morte d'Arthur. This book is 9" x 6" x .25" and is sprial bound. It contains 115 pages written by David M. Wright. This student book is more of an instructional guide with content questions, and less of a workbook. This contains notes and instructions, definitions of basic features, and a "How-to" for how to mark a book. There are pre-reading questions, reading notes, vocabulary words, critical thinking and comprehension questions, and writing prompts. The idea behind this style of book is to help students transition from workbook style mentality to a college class mentality where they are required to take their own notes and extrapolate data and information from lectures, discussions, and texts. For me, Poetry is a different way of thinking. It is a different, more creative way to communicate and describe ones thoughts, feelings, and the world in which they live. This is why Poetry and more artistic forms of writing can help special needs students, especially those with autism, learn to be effective communicators. It is difficult to teach imagination or abstract thinking on your own, but introduce the likes of allegory or riddle and suddenly you have a concrete means of teaching an abstract thought. Autism brings with it a lot of variation, but one commonality is restrictive thinking, bordering on obsession. These preservative attractions may change over time, but while there they are a great source of focus. For example, for at least 6 years of my son's life his world revolved around trains. Then for a few years it was all things solar system and universe, then it was the weather. Currently, his "thing" is old coins and money, though I think this is transitioning to WWII now. Poetry provides the perfect opportunity to channel in on these specific areas of focus, and it then in turns provides an opportunity to transition that focus between areas of emphasis. As I mentioned, Mr. B is quite enthralled with old money, and that is how we approached this topic. First, I had him research medieval coins. THEN I introduced the poetry reading selection. He was able to blend his current focus of the coins to the reading selection, using the era in time as a bridge between the two. At that point, when that clicked, I was able to use the same poems as a means of focus into other areas, coming back to his focus of coins as needed. Reading for the central idea in a poem is much like his over-focus on one central topic. So his brain is naturally attuned to focus on the central, making a poetry study natural to him. It is a way for him to practice abstract thinking while linking it to a concrete thought, to make sense to him. He's now beginning to apply the more abstract, artistic way of looking at things from the poetry into this every day. The actual "book" work of the student book is divided into types. This section is a way to get your student in the correct mindset for the readings that are to follow. I find this to be very useful for my autistic student. This includes the following parts- Words to be Defined, Comprehension Questions, and Reading Notes. I liken these to glossary terms in a way. They describe the language used in the reading text. These are the bold face words your student will need to know. I've also added these to spelling lists. These are your normal comprehension questions. There are quite a few included in each lesson. It's important to understand we do NOT do a section a day. We work at a slower pace so that he fully grasps the topic. We work on this around 3 times a week, for about 20 mins each day. So we may get through 8 comprehension questions, or we may only get through 5. I do not rush him. These are more critical thinking style questions. I've found I have to help lead Mr. B into answering some of these, sometimes. Other times he does very well on his own. But questions that ask how a character or subject conveys feelings, etc. can be a bit challenging for him. 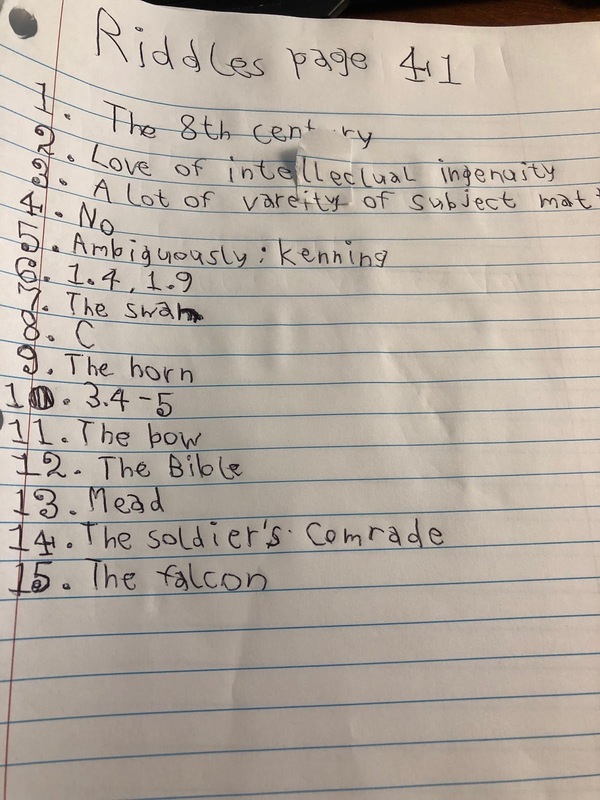 We typically answer these in a oral discussion. These questions are answered in the Literature Notebook your child creates. Your student is tasked to summarize the poem, write the central idea, and list points that support it. Mr. B is very good at this portion. Like I said before, reading for the central idea is second nature to the way his brain thinks. The student book includes an essay style question at the end of each lesson. 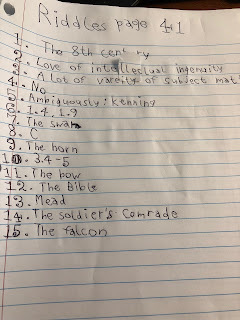 We have not done these yet as this is still outside of Mr. B's ability level, but we have used these as a means of discussion, and we have used them as a means of bridging his current focus to that of the poem in a compare/contrast manner. Overall, Mr B has done fairly well with this curriculum. I have had to help him, since it's a different way of thinking sometimes. But, at other times, it has come quite natural. We do not work quickly, and I do not push him past his comfort level in terms of moving on too soon. We take our time, making sure he understands, and then I go on to use the lessons in our every day to point out ways he can use to communicate or describe various things that are going on that day. It's intended for older students, and we will continue to use it-but probably at a slower pace to give him a chance to fully grasp the material. Overall, I would recommend this to others who prefer a classical style education. Classical Phonics with the First Start Reading Program. Poetry for the Grammar Stage Set. Poetry & Short Stories: American Literature Set. Poetry, Prose & Drama: The Old English & Medieval Periods Set. Poetry & Prose Book Two: The Elizabethan to the Neoclassical Age Set. Poetry Book Three: The Romantic to the Victorian Age Set. First Form Latin: Complete set. Second Form Latin: Complete set. Third Form Latin: Complete set. Fourth Form Latin + Henle I: Complete set. Please click the banner below to see what others have to say!